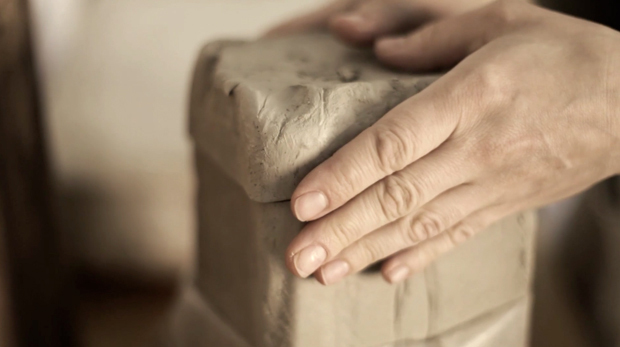 This post is a case of one project leading to another as we return to talented Swedish filmmaker Oscar Liegren and his latest short film which features Potter Karin Eriksson in her studio. Many of you enjoyed Oscar’s previous piece we shared on Kiki, the Japanese design store in Stockholm, so I decided to keep a close eye on the filmmaker which luckily paid dividends today. It’s been a little while since we’ve featured a pottery based film that’s this good, I love the fact that we’re taken through almost every stage of creation which makes you admire Karin’s work all the more. She actually runs her own retail space in an area of her studio too, offering a range of other creatives work alongside her own, which I’m sure would be well worth a visit if you’re visiting the Swedish capital. I think if you own handmade goods watching films like this one remind you of how much hard work has gone into creating them, for Karin to perfect the form of those vessels to the point of almost symmetry is quite remarkable – she must be so dedicated to her art. You can tell she has really mastered this in the subtle changes she makes whilst throwing, these transform the pieces from looking as if it’s going to fall out of shape to the perfection of it’s figure. It’s almost therapeutic watching a pot being thrown at times, especially when the thrower has such control and poise in shaping the clay. I hope that Oscar Liegren continues to bring us such great homeware inspired content in the future, Stockholm is certainly a mecca for this so I’ll be keeping my eye on his work in the near future. For further information on either the artist or the filmmaker head on through to their respective webpages via the links below. In the meantime watch on below and enjoy!